When I was younger I was always told to leave my eyebrows well and truly alone. And for years I listened, avoiding a tweezer at all costs and sporting the natural look until my early teens. And then it was as if one day I awoke with an overwhelming urge to ‘sculpt’ my brows. I did not play it safe either, instead of easing myself into brow-shaping with a pluck here and there I went all in with a razor, yes you read it right – a razor! The end result wasn’t pretty and neither were the pictures for many years after. Luckily though, I learnt my lesson and my brows grew back, a little sparse here and there but it could have been a lot worse! The reason I tell this story is because we all have a brow back story, whether it was over-plucking or being too eager with a razor. And for all our mishaps, mistakes or just general dislikes of our brows, there are a handful of products just waiting to lead us back to brow salvation. 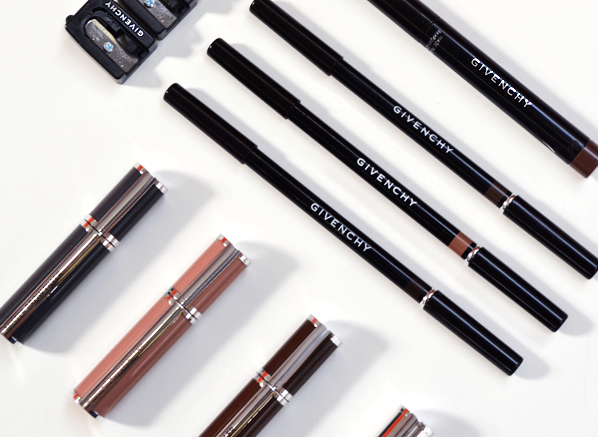 Cue the Givenchy Brow Studio collection, an eyebrow wardrobe to suit every desired style, shape and finish. Whether you just have a few strays to tame, an area to fill in or an entire brow to etch out this range is the first and last place you’ll need to look. If you have no idea where to start with your brows our recent Q&A with Givenchy’s Regional Makeup Artist, Georgina Holliday has all the answers you’ll need (and if it doesn’t, just ask away in the comments). If you’ve been blessed with full, thick brows then your brow hairs will probably only need a little grooming. Mister Groom is the product for the job. Its long-lasting translucent formula is designed to tame unruly hairs and keep your brows set in place all day. Enriched with vitamin B5, the brow mascara volumises and defines without a sticky or greasy feel and looks completely natural. 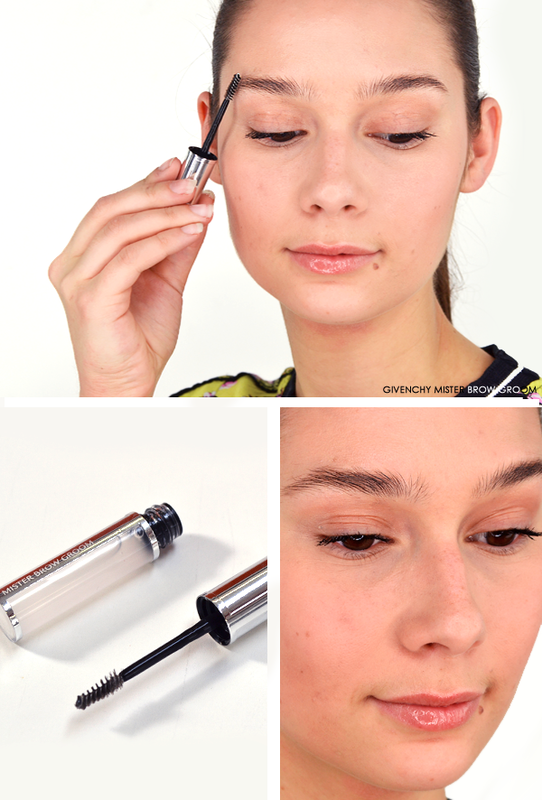 This is the perfect addition to every brow routine. Ideal for those that want to keep it simple, but also a great last step for people that spend a lot of time (and product) on their brows. 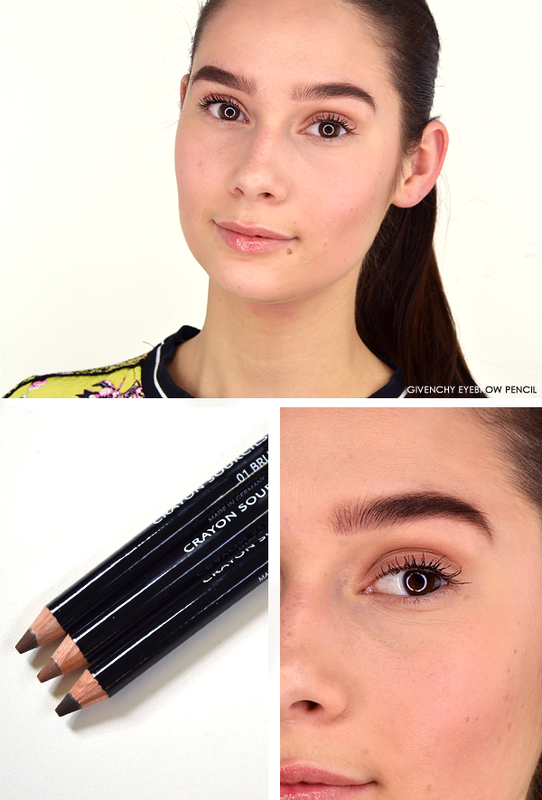 You don’t want all that effort to go waste, so keep everything in place with this brow gem! Brows are very personal, but for me I would dub the Mister Brow Filler my day-to-day eyebrow product. Perfect for people like me that have some sparse areas but overall a good shape, Mister Brow Filler delivers a waterproof, quick-drying liquid throughout brow hairs to shape and fill. Available in 3 shades; 01 Brunette, 02 Blonde and 03 Granite, there’s an option for everyone – I even tried out 02 Blonde on myself and loved the natural result! Formulated with hybrid silicone particles, the tinted brow mascara dries down to a powder finish on application, leaving a natural result that highlights the brows in a subtle way. The brush is designed with your brow in mind, its curved bristles catching and shaping every hair into the perfect position. Sometimes it’s easier to have one product that gives a plethora of finishes. 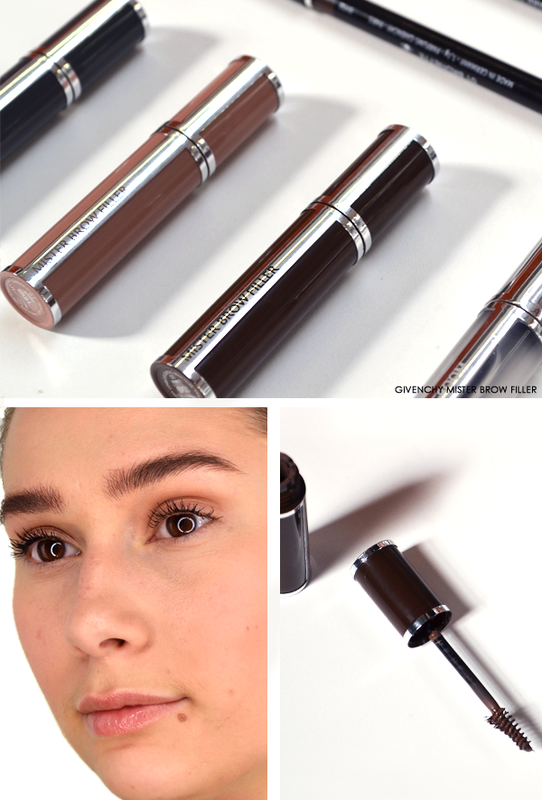 Whether you want to keep your makeup collection paired back or you’re always travelling, the Givenchy Eyebrow Pencil is the perfect day-to-night eyebrow product. When built up the pencil can create defined, sculpted brows, and when used lightly the creamy pencil will create a brow look that’s natural and flattering. Formulated with talc and intense pigments, the ultra-slim tip of the pencil leaves a powdery matte finish that gives a ‘your brows but better’ result. Perfect for someone like me that has naturally sparse brows, the glide-tip pencil (and convenient brush end) allows you to fill in exactly where you need it, helping you to get that flawless brow shape in a few quick strokes. If you’re not a fan of the power brow then this one may not be for you! But personally, when I’m going all out with my makeup I like to spend some time really sculpting and defining my brows. The Eyebrow Couture Definer has a creamy texture that fills in sparse areas of the brows with ease and precision, its retractable head ensuring you’ll never have to hunt for a sharpener again. With a waterproof effect and formula that lasts for up to eight hours, this pencil will be a saviour for people with very sparse brows, allowing you to fill in with peace of mind that they’ll still be there at the end of the day. This pencil isn’t one for those that prefer to keep it natural, the pencil dries to a powdery matte, evenly coloured finish that really gives you wow-brows. So, if you want to make a statement, or want your brows to match the intensity of your eye makeup for a night out, this one’s for you. 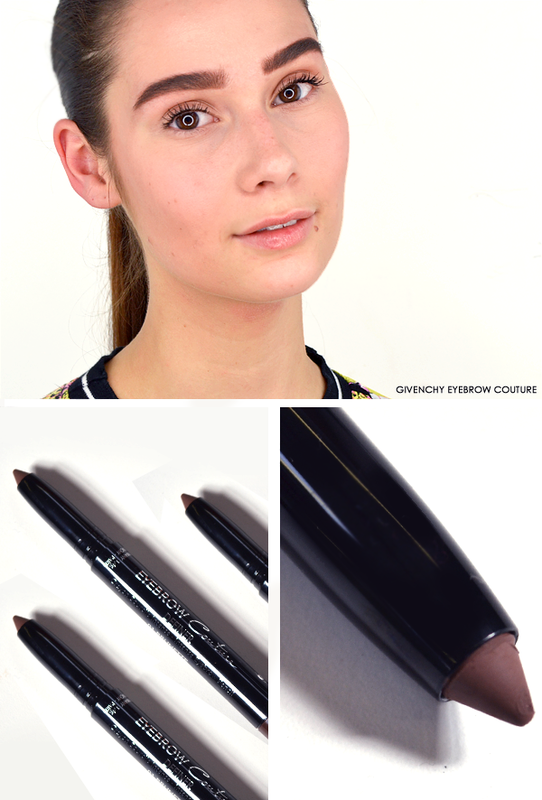 Which of these Givenchy Brow Studio products would you use to style your brows? Comment below or tweet me @EscentualCeryn! This entry was posted on Monday, June 6th, 2016 at 4:58 pm and is filed under Make-up, New products, Swatches, Tried & Tested. You can follow any responses to this entry through the RSS 2.0 feed. You can skip to the end and leave a response. Pinging is currently not allowed.